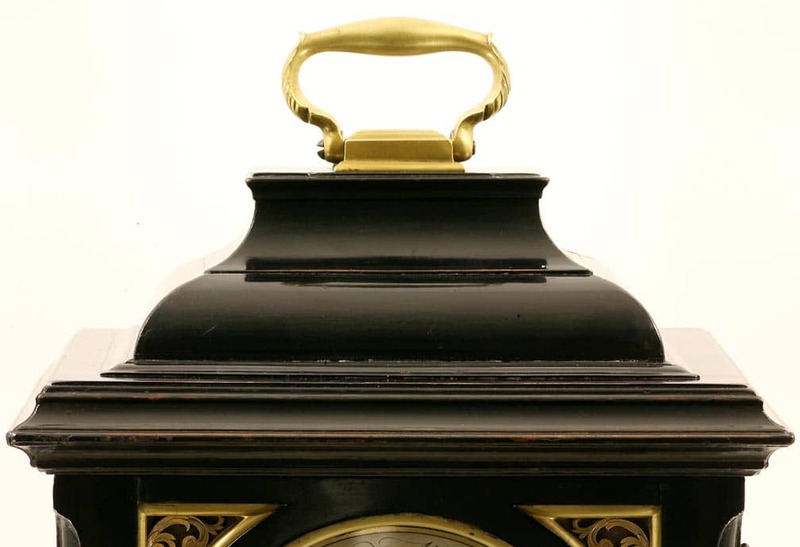 A SMALL STRIKING EBONISED INVERTED BELL TOP BRASS BOUND BRACKET CLOCK BY THIS WELL KNOWN MAKER. 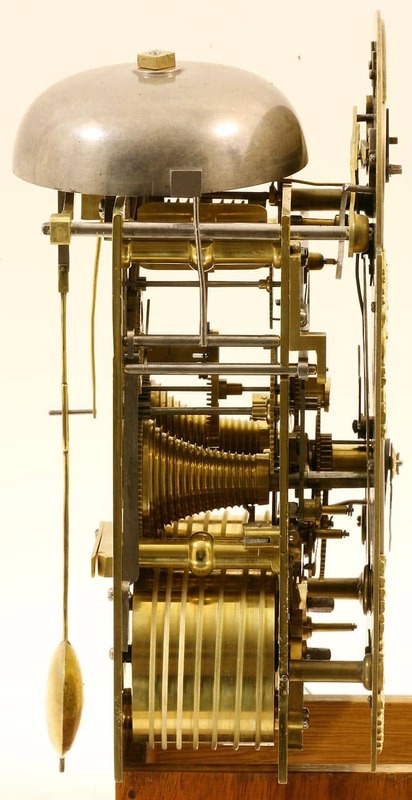 CIRCA 1760. 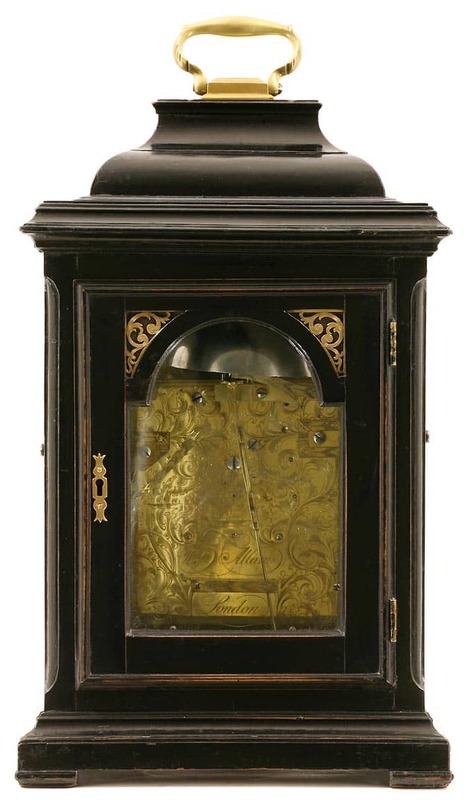 The extremely attractive brass bound ebonised case has engraved frets front and back and pineapple finials. The side circular and shaped apertures are also glazed and lined with brass edging. 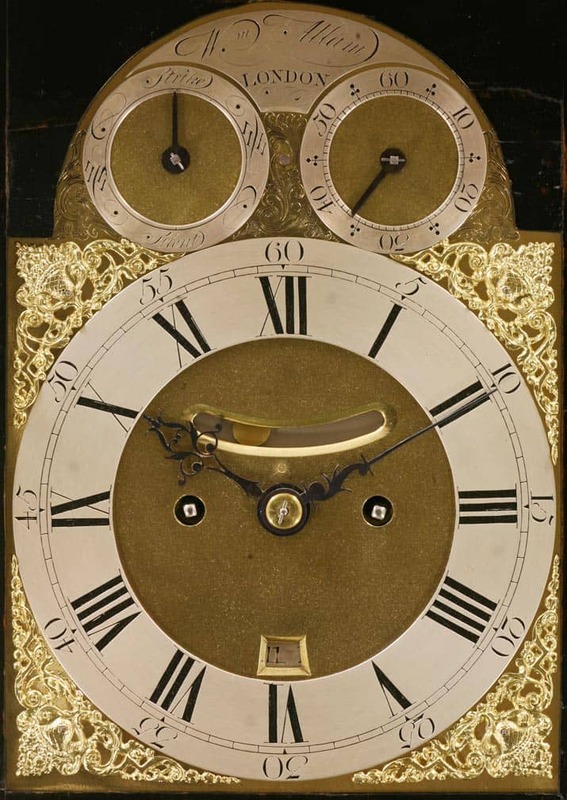 The elegant and well composed brass dial, typical of Allam’s work, has a false pendulum aperture and date within the well matted centre. 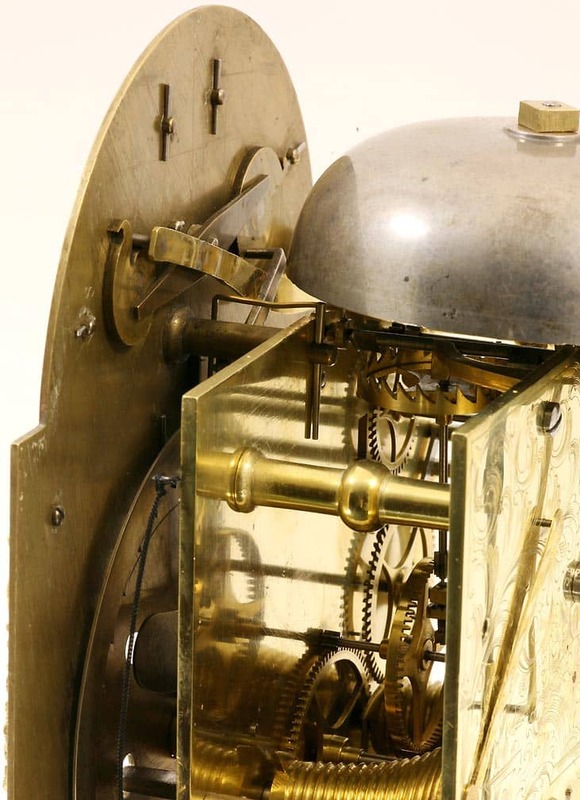 The arch which is signed ‘Wm Allam, London’ has two dials, one strike/silent and the other for rise and fall regulation. 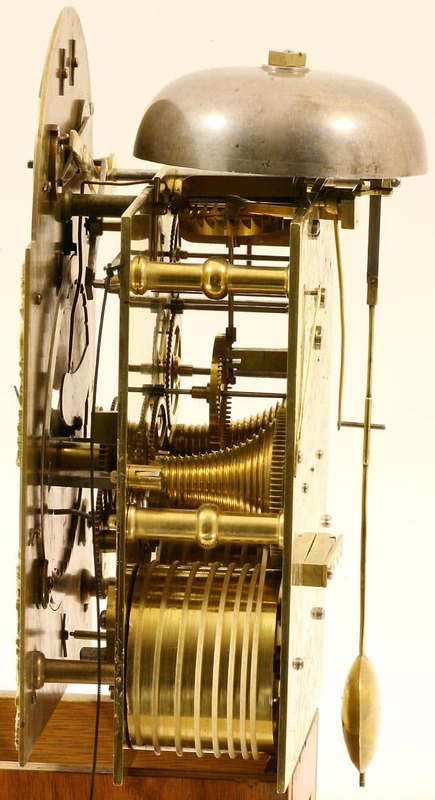 The striking fusee movement has five pillars, verge escapement and trip repeat. 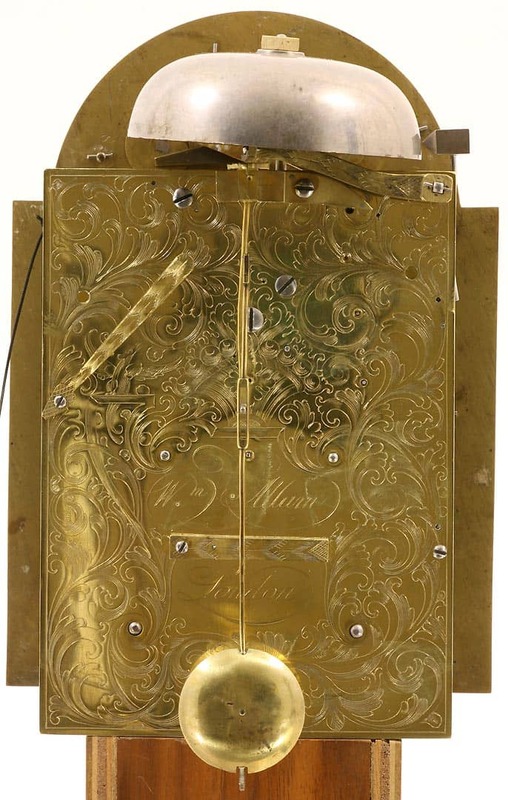 The backplate is well engraved with a bird, foliate scrolls and signed to the centre. 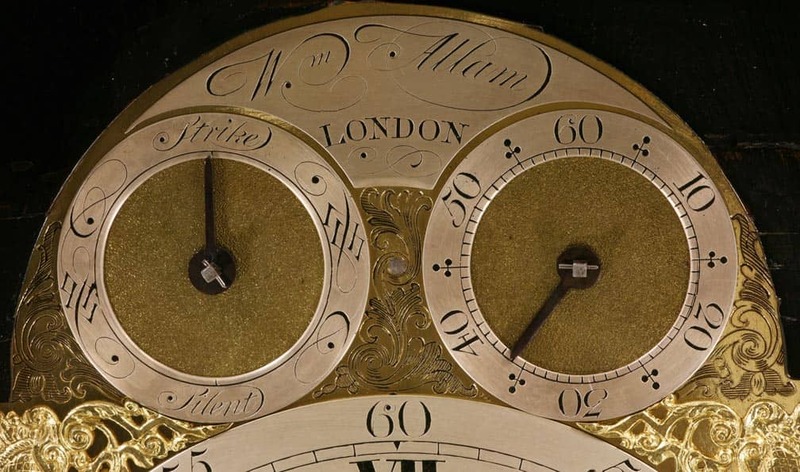 William Allam was Free of the Clockmakers’ Company in 1743 and is recorded in their records until 1785. 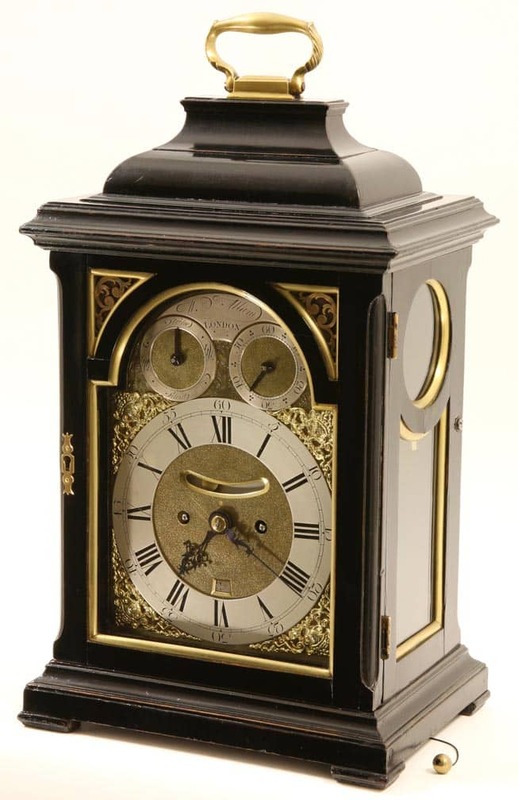 In 1763 he went into partnership with Clements trading under the name Allam & Clements until 1795. 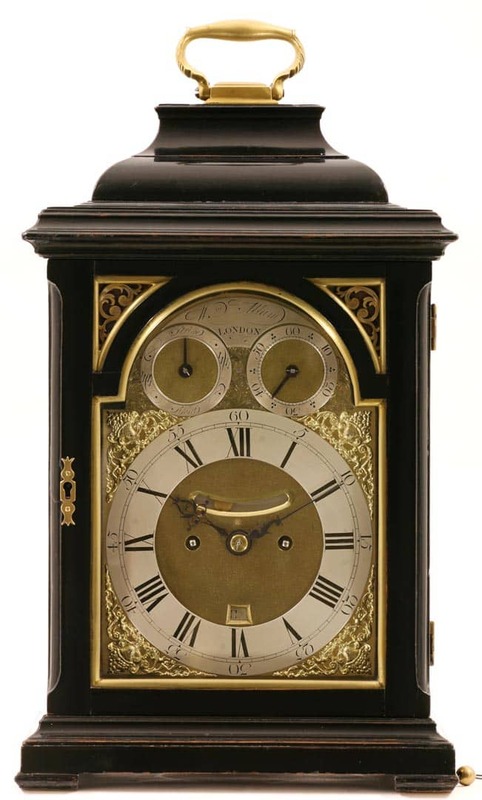 He is noted as having produced a number of fine and elegant bracket clocks and longcase clocks.